Product> Por qué? Parquet! - Archpaper.com Product> Por qué? Parquet! 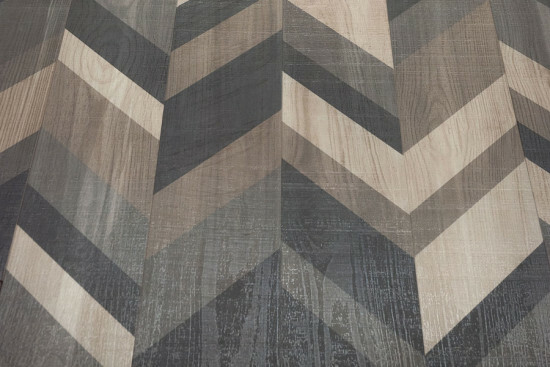 A modern twist on a centuries-old tradition, geometric patterns are all the rage in updated materials and color options. 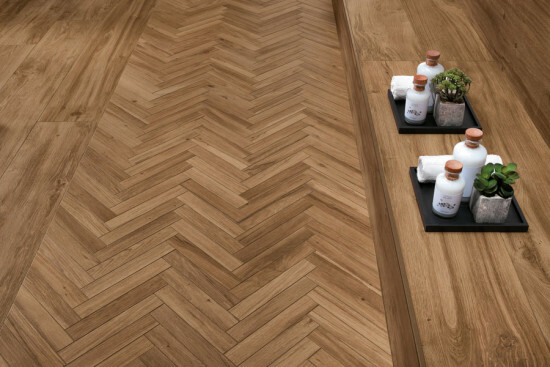 A completely reimagined parquet flooring system, Biscuit uses six modern rounded shapes in different sizes to allow for endless opportunities of new patterns inspired by classic herringbone that is available in a variety of stains. Kelly Wearstler is known for her particular aesthetic of combining raw natural materials with more refined pieces. 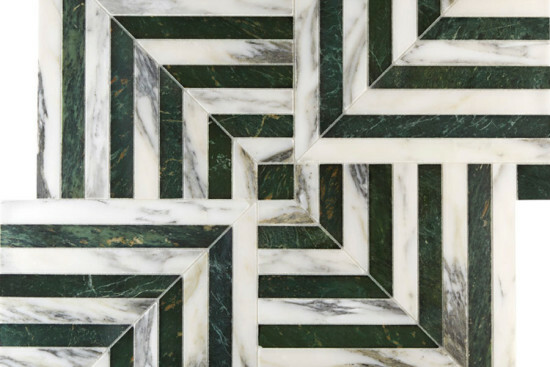 This collection plays up her love for stone and includes made-to-order tile rugs, which may also be used in custom backsplashes, fireplace surrounds, and showers, in addition to five small- and large-tile off-the-shelf patterns. 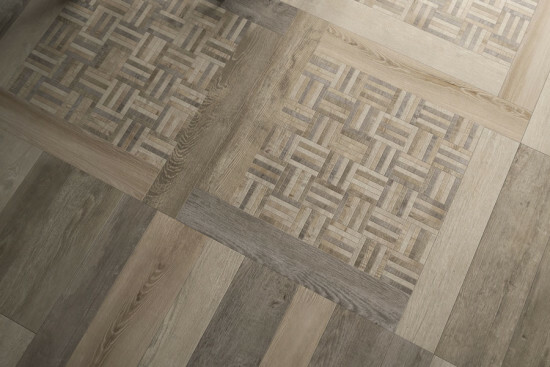 Labyrinth is parquet 2.0—inspired by M. C. Escher drawings, the collection of two patterns, Mirror and Angle, can be rearranged to create endless, mazelike configurations that are meant to evoke the works of Josef and Anni Albers. 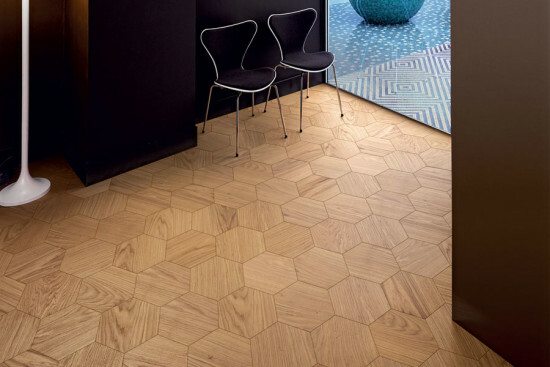 Composed of a four-millimeter top layer of European oak mounted on phenolic multilayer laminated birch wood, these wood tiles are incredibly versatile and, given their size and shape (one square, one hexagonal), can easily be paired with other cement tiles. These two-centimeter-thick wood-look porcelain tiles have super-realistic qualities with grain, streak, and marbling variations. The surface is suitable for indoor and outdoor use and is frost-proof and antislip. It is available in both matte and high-gloss finishes. 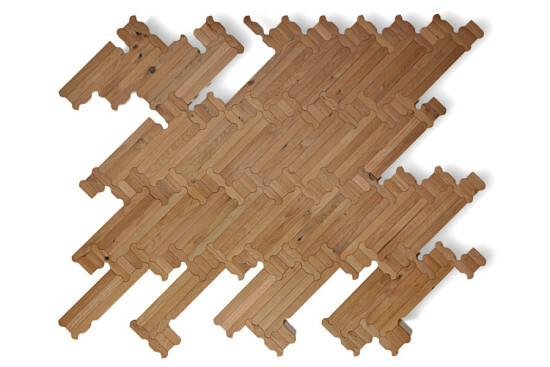 Inspired by age-old wooden tavelle, these ceramic wood tiles truly resemble hardwood. Each tile, available in three color collections, contains a variety of patterns that makes every slab unique. These tiles are highly versatile and, in addition to being ecofriendly, are antislip and resistant to salts, chemicals, and frost. 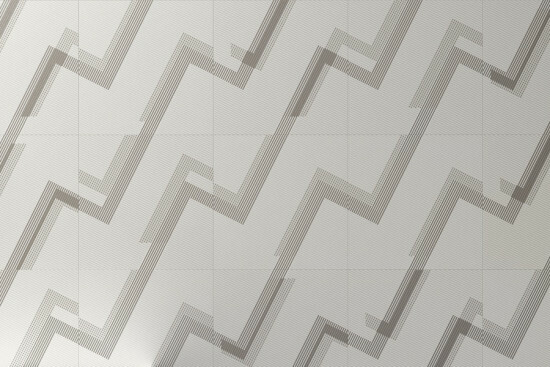 This porcelain tile collection comes in six gray hues, including a multicolor diagonal stripe that creates a herringbone pattern. The tiles can withstand quite a bit of wear and are suitable in residential and commercial spaces, indoors and out.